The Chromecast is an excellent streaming content for your Android or PC to the TV. Like to most popular ever YouTube, so YouTube is one type of streaming media. And also same as YouTube alternative like Kodi, they are media center apps, so if you like to watch content media on Kodi and you want to use Kodi to Chromecast, then there are simple and easy ways to get Kodi on Chromecast. Here, there are three ways to explains for stream Kodi to Chromecast, easy to watch your stream media. This method through us, we can play the stream videos on Chromecast device even when the device is locked before we start, you can’t stream Kodi content to Chromecast from an iOS device, so we’ll only be talking about Android devices for this method. 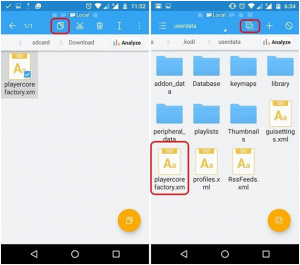 Step 1: First, Download and install the apps on your android device like ES File Explorer, Kodi, LocalCast, and XML file PlayerFactoryCore. 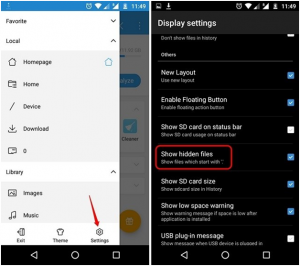 Step 2: Now, open the File Explorer, and navigate to Settings > Display settings and make sure “Show hidden files” is enabled. Step 3: Next to, go to the “Downloads” folder and find & copy the PlayerFactoryCore.xml file you downloaded. Paste the file in Android->Data->org.xbmc.kodi->files->.kodi->userdata folder. Step 4: After a past file, open Kodi app and play your favorite videos. Step 5: Then, select your Chromecast device and then hit Play, which should play your Kodi video on the Chromecast connected TV. 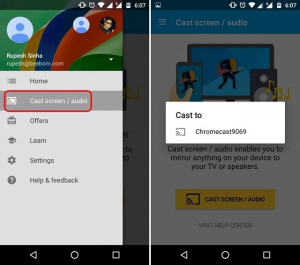 There is another way to plug Chromecast app to android using Google cast app’s screen mirror. 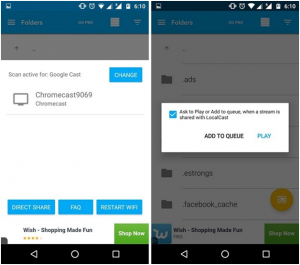 Step 1: First, install Kodi and the official Google Cast app on your Android device for this method. Step 3: After an app will find Chromecast device. Select your device and device will automatically be mirrored to your Chromecast connected TV. Step 4: Now play your favorite video on Kodi, then the video should then start playing on both your Android device and your TV. 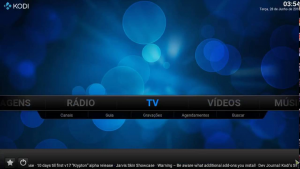 Step 1: First, Download and install Kodi on your PC or Mac. Also, add a Google Cast Chrome extension on your PC/Mac. Step 3: You’ll then get the options to share your “Entire screen” or the different tabs open in Chrome. Select Entire screen. Step 4: Now, just open up Kodi and play any video you want and it should play on both your PC and Chromecast connected TV with ease. Now easy to play any video on Android, PC/Mac to anywhere enjoys.